Sixty-four percent think the S&P 500 will jump more than 5 percent. Sixty percent said financials will be the top-performing sector. 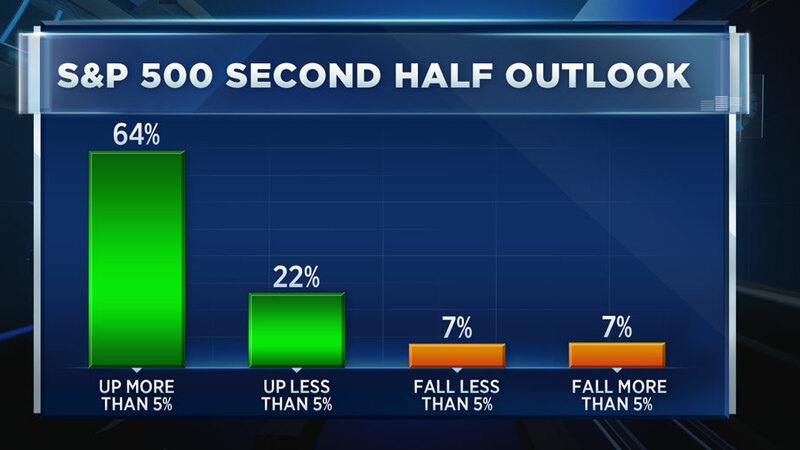 As the first half of the year comes to a close, CNBC's "Halftime Report" surveyed Wall Street's strategists to find out where they think the stock market is headed in the second half. A majority, 64 percent, predict the S&P 500 will rally at least another 5 percent from today's levels. The S&P 500 is up about 9 percent year-to-date. That means the S&P 500 could hit a record 2,550 by year-end. The "Halftime Report" surveyed 23 Wall Street strategists in the last week. The S&P 500's average gain in the second half of the last 70 years was 4.2 percent, according to CFRA, so the group believes this year will be better than normal. The benchmark's average full-year gain was 8.6 percent since 1946. Sixty percent of strategists said financials is their top sector pick for the second half. Bank stocks are currently one of the worst performing sectors this year. 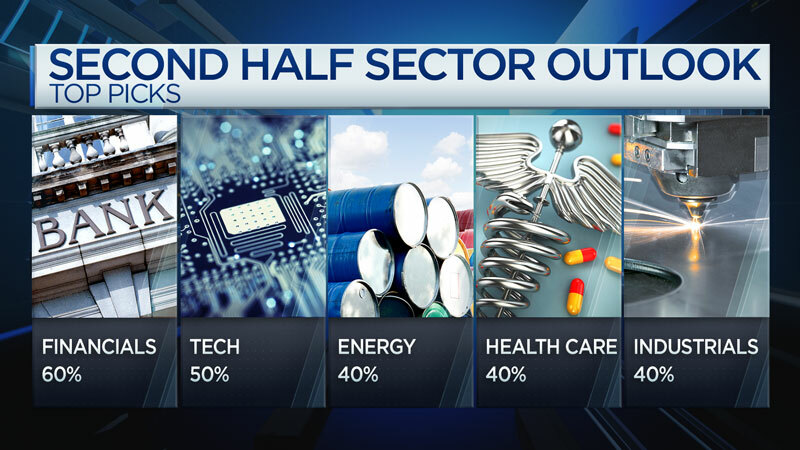 Fifty percent said technology, this year's best performing sector, will outperform in the next six months. Strategists are also optimistic about energy, health care and industrials. 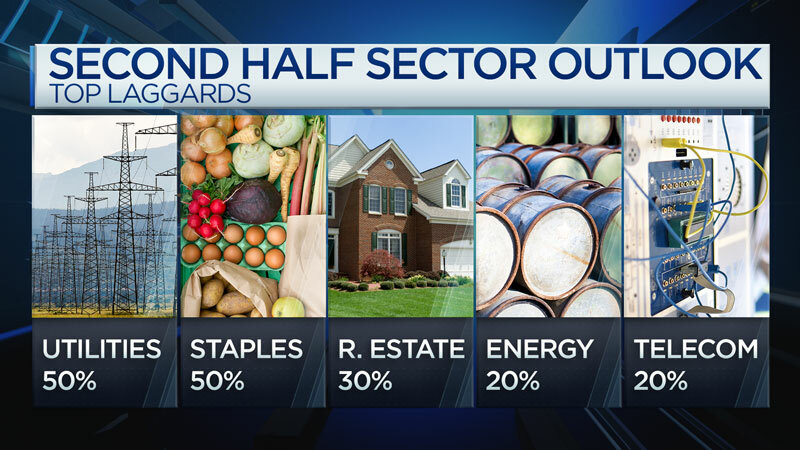 The survey found that the sectors to avoid in the second half, according to Wall Street's experts, include utilities, staples, real estate, energy and telecom. Strategists are split when it comes to growth and value investing. 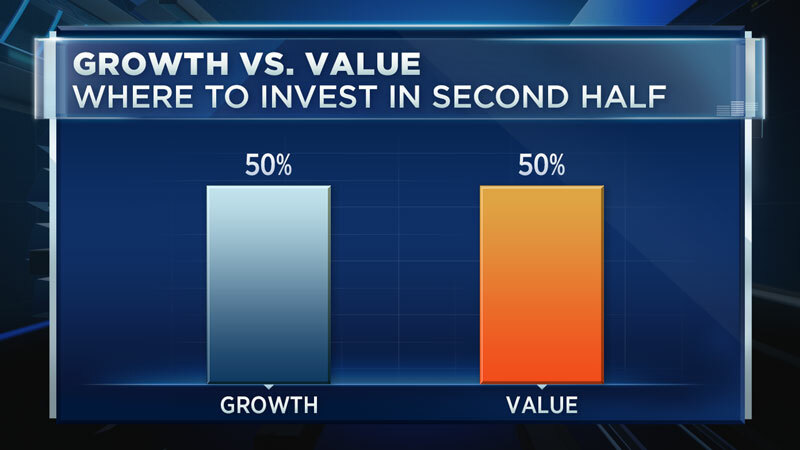 Fifty percent say growth and 50 percent say value will outperform in the second half. The S&P 500 Growth Index is up 14 percent this year and S&P 500 Value Index is up only 3 percent. Five months into a Trump presidency, strategists are optimistic about the president's agenda. Sixty percent say we could see tax reform before the end of the year. 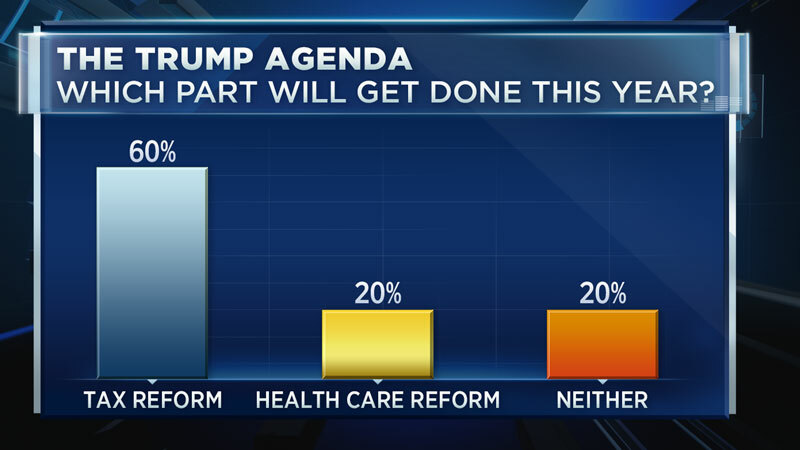 Twenty percent say health care reform could be passed by year-end and 20 percent say neither will get accomplished this year. Of course, the survey was taken before Tuesday's news that the vote on a health care bill would be delayed until after July 4th recess.